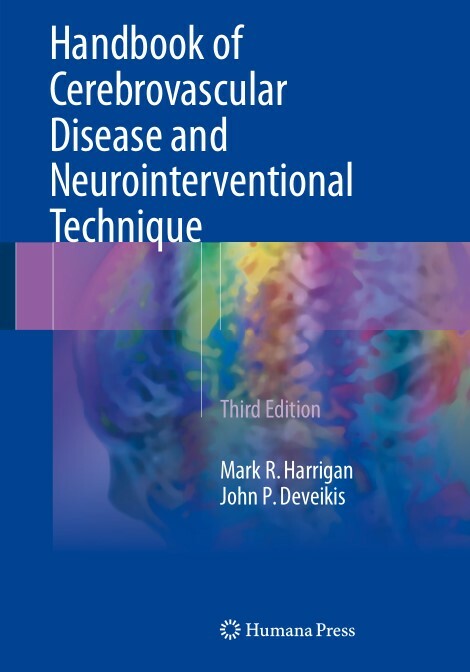 This book offers a practical guide to endovascular treatment of cerebrovascular disease and provides a concise reference for the related neurovascular anatomy and the various disorders that affect the vascular system. Fully revised and updated, the information is accessible and easy to read. It discusses fundamental principles underlying cerebral and spinal angiography; interventional techniques, devices, and practice guidelines; and commonly encountered cerebrovascular disorders for which interventional and endovascular methods are appropriate. New topics and features include: intracerebral and intraventricular hemorrhage; intracranial tumor embolization; vasculitis work-up and management; percutaneous carotid artery puncture technique; and pediatric aspects of neurointerventional techniques and disease states. 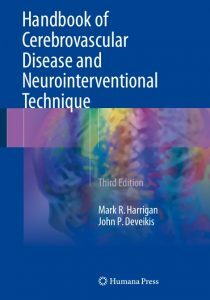 Handbook of Cerebrovascular Disease and Neurointerventional Technique, 3rd Edition, is a portable and concise resource for interventional neuroradiologists, neurologists, neurosurgeons, cardiologists, and vascular surgeons.